This time of year always drives me a little insane as I try to figure out what to buy Little Miss. Part of the problem is that she is 8. Part of the problem is that we don’t tend to watch TV channels which contain adverts. And part of the problem is that I want to buy her things that she will love but which will engage her brain, imagination and develop her skills. In short, I want to buy anything other than DOLLS! Now, I don’t have a major problem with dolls, but she already has 7 – it seems a pointless waste of money buying yet another doll! 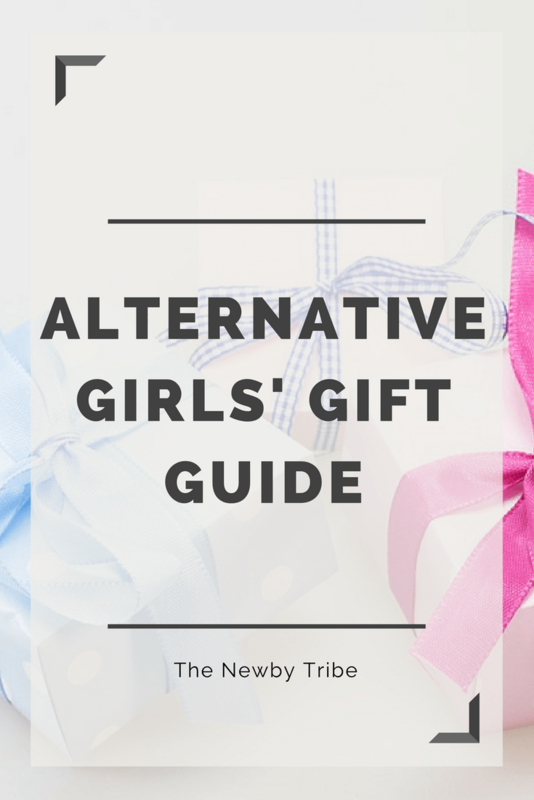 So, with that in mind, I’ve searched high and low to produce this Alternative Girls’ Gift Guide. A guide which hopefully will inspire you and give you great ideas of gifts to buy the little girls in your life, without having to resort to dolls! This post contains both items sent to me in exchange for inclusion in this gift guide, as well as Amazon affiliate and other affiliate links. If you click on a link to purchase the product, it won’t cost you a penny but will give me a small amount of commission. All opinions are my own. I absolutely loved experimenting when I was a child, and Little Miss loves to make potions in the bath and in the garden. So this Rainbow Lab kit will be perfect for her. Trying to get girls interested in STEM (Science, Technology, Engineering and Maths) is quite high on the agenda in today’s schools, and I do agree that our education system doesn’t really do enough to encourage girls to consider these areas. So getting them interested when they are young is the key to them heading down that route at a future date, which is why I’m including them in this Alternative Girls’ Gift Guide. But aside from the educational aspect, which child wouldn’t love to be able to create their own rainbow? Not only that they can grow their own crystals and experiment with colour mixing! 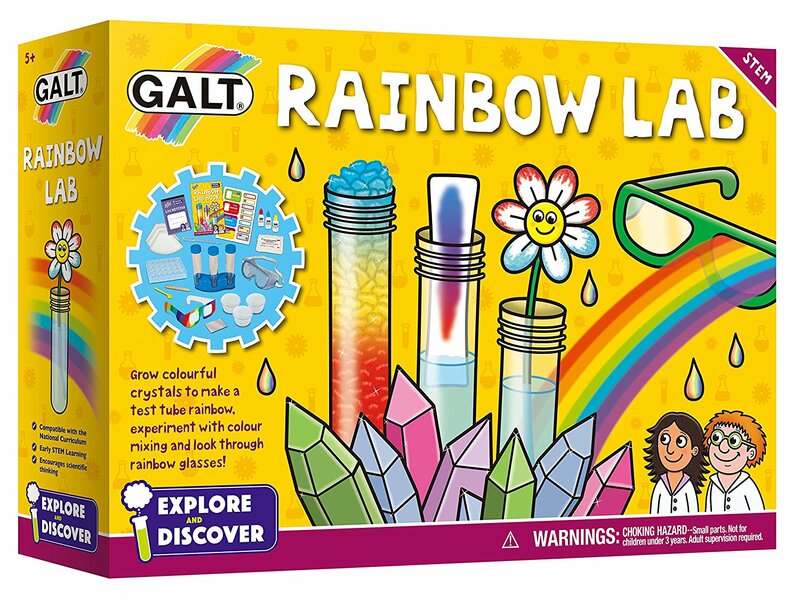 Rainbow Lab costs around £12.99 and you can pick one up from here via Amazon, with free next day delivery if you are a Prime member. We are a really crafty family and seem to have cupboards full of crafts that Little Miss loves. Everything from card making through to knitting kits and even a pottery wheel can be found in our crafting drawers, so I know that anything craft based will be perfect for her. As she is getting a little older she is more and more wanting to do crafts based around fashion. So this wonderful Gel-A-Peel Fashion Maker will be right up her street. 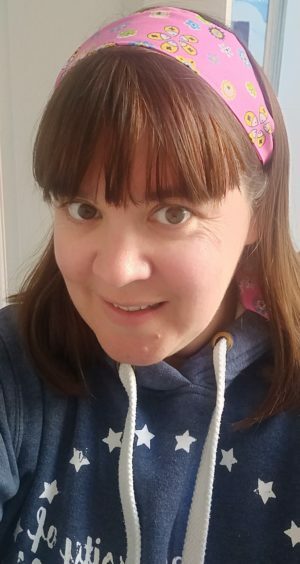 This set comes with 5 gel tubes and over 40 design templates, guaranteed to give her hours of fun designing her own t-shirts, jewellery and anything else that her creative juices suggest! This set is only £34.99 and you can buy a starter set from only £5.99 which would make a perfect stocking filler! Pop over to Gel-A-Peel to see their range. The children love new books (almost as much as me!) and so books are obviously a good choice as a present. The lovely book of Rosie Revere, Engineer has definitely turned into one of our favourite stories, and the children have asked for it several times over the past few weeks, which is always a good sign. 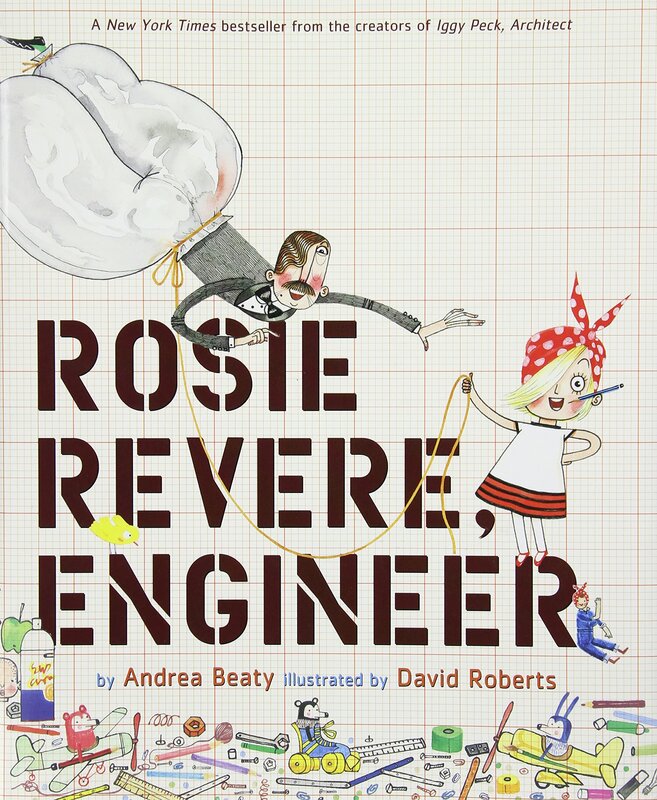 The book tells the story of a little girl named Rosie Revere, who, since she was very small, has loved tinkering and building inventions in her bedroom. We learn that when she was small she was a confident little girl, but after one sad occasion when a relative laughed at her invention, Rosie hid her desire to be an engineer and became quiet and withdrawn. Until, that is, her Great Aunt Rose appears in her life, and Rosie learns the meaning of resilience and trying again. It is quite long so it is more of a 15 minute read rather than a 5 minute read, but we spend a long time talking about what the children can see in the drawings and then thinking about all the things they could invent themselves. It inspires great language and discussion, which for me is a key element to a good book, and the children can use the pictures to retell the story for themselves which they love to do! You can buy Rosie Revere, Engineer from Amazon at the cost of £9.79 for a hardback copy. What type of gift guide would this be if it didn’t include a board game? So, on that note, the best board game I’ve come across in a long while is a fab Maths game called Plyt. 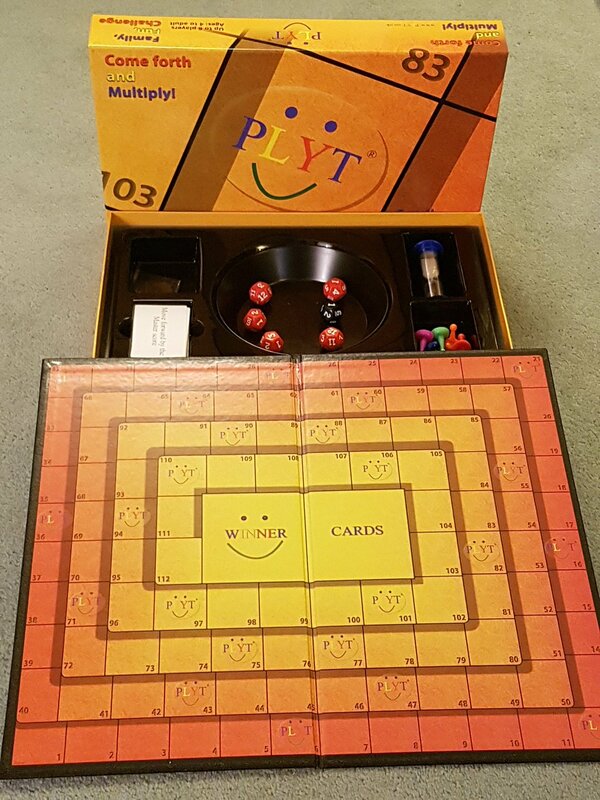 Plyt is a board game for up to 6 players aged 4+ which is all designed around basic calculations. The premise is simple. You throw a number of dice, perform a calculation and then move your piece around a board until you reach the ‘winner’ space in the centre. Simple? Yes, but there is so much more to the game than that! This is one of the only games I have ever come across that allows children and adults of all differing abilities to play together on a level playing field. This is the genius of the game! The game can be made harder or easier for each individual player without giving any one player an advantage. Little Miss is currently learning her tables at school and it’s being quite a torturous process. However, in only a few years time, the government expects that, by Year 4, all children will know their tables up to 12 x 12 – which is quite a demand! So having a fun, engaging game which the children can play with us and be learning at the same time is such a great idea! Plyt costs around the £25 mark and can be bought over on Amazon. 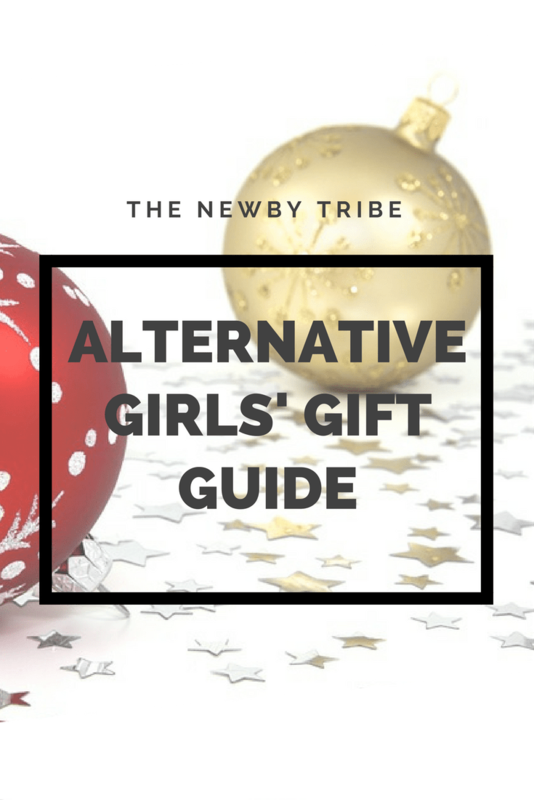 So there you have it – my top gifts in our Alternative Girls’ Gift Guide, all designed to inspire, challenge, engage and generally encourage girls to have fun in different, alternative ways. 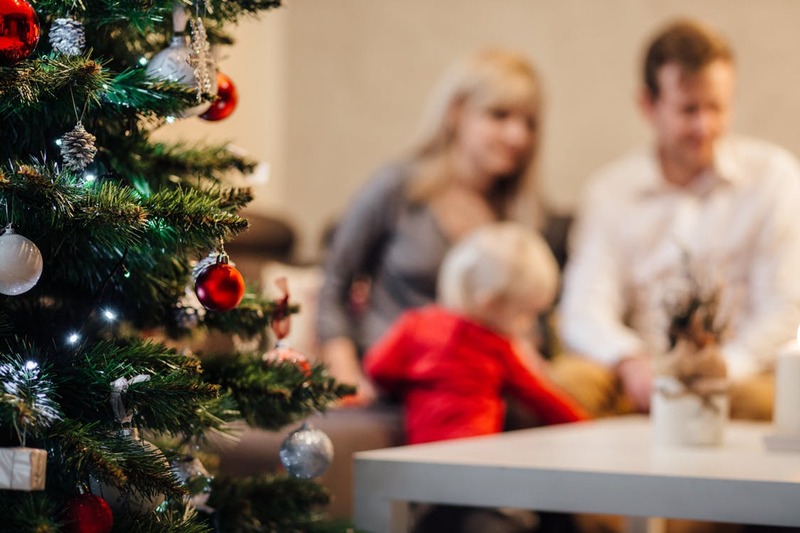 I’d love to know what you are planning on buying the little girl in your life this Christmas – after all it’s always great to have new ideas to consider! !